For half a century, New Country 92.3 has evolved with St. Louis by presenting a vibrant, exciting, and relevant sound. New Country 92.3 has boldly pioneered the development of new country artists from Nashville. New Country 92.3’s consistent invention of new ideas for on-air style, branding, along with “live” and local personalities, are staples of success. New Country 92.3 has consistently been devoted to helping make the St. Louis community a better place to live. New Country 92.3 and its listenership, have raised millions of dollars for charities including the March of Dimes, Salvation Army, Special Olympics, and St. Louis Children’s Hospital. New Country 92.3 has been honored with many awards including the prestigious NAB Crystal Award and recognition from the CMA, ACM and Missouri Broadcasters. 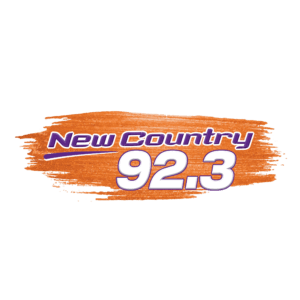 New Country 92.3 is dedicated to making a difference in the heart and soul of country music listeners every day with a unique, fun, and entertaining presentation that personifies the St. Louis lifestyle.